Little public data are available to assess the extent to which sponsors of defined benefit plans are offering participants immediate lump sums to replace their lifetime annuities, but certain laws and regulations provide incentives for use of this practice. Although the U.S. Department of Labor (DOL) has primary responsibility for overseeing pension sponsors’ reporting requirements, it does not require sponsors to report such lump sum offers, making oversight difficult. Pension experts generally agree that there has been a recent increase in these types of offers. Since 2012, a number of large pension plan sponsors have given selected participants a limited-time option of receiving their retirement benefits in the form of a lump sum. Although sponsors’ decisions to make certain lump sum “window” offers may be permissible by law, questions have been raised about participants’ understanding of the financial tradeoffs associated with their choice. 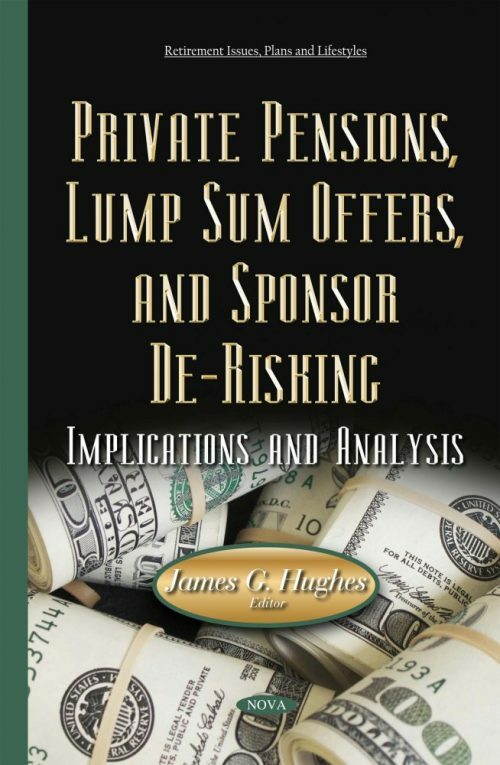 This book focuses on the prevalence of lump sum offers and sponsors’ incentives to use them; the implications for participants; and the extent to which selected lump sum materials provided to participants include key information.